The Government has already taken significant steps to invest in developing the tourism industry in the country. 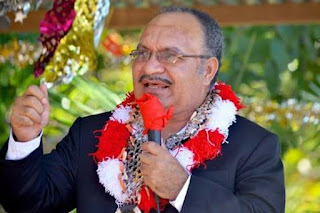 Prime Minister Peter O’Neill said this yesterday at the business breakfast in Port Moresby. Mr O’Neill said the country can continue to comment on how rich and diverse its landscapes and cultures are but without the right infrastructures, nothing will happen. “Our government is working with potential investors in building tourism hubs throughout the country, and one of the first areas that we are looking at is Kokopo. “We are looking for some real progress in this area, and I know that areas such as the Kokoda Track, continue to attract a lot of foreign visitors every year. The cruise ship sector is again a demonstration of our potential, and we can achieve more from this service,” he said. Mr O’Neill challenged superfunds in the country to move away from investing in the real estate industry and should start looking at tourism. “You should see examples like in Fiji, where the major investors in the tourism sector in Fiji are super funds. “I think the times of just investing in real estate in Port Moresby should be over. Let us diversify in portfolios so we can be able to work with you. If there is a risk in investing in tourism in the outer centres of our country, like in agriculture, Government is interested in participating with equity to support you at the initial stages,” he assured. He said as it is not the government’s attempt to get into these businesses, but both businesses and government to have a go at this. “Another example of our home ownership scheme that we have with BSP, I hope other banks can take this up as well. “With the initial K200 million we invested, we are expanding to K400 million. Through this program, thousands of small Papua New Guinean families are able to have a home for the first time. “These are the initiatives that we are ready to support the private sector with in making sure our people continue to benefit,” he said.